A British mission to capture terrorists is led by Colonel Katherine Powell (Helen Mirren). The criminals are discovered in a safehouse in Nairobi. Among them are a radicalized British-born woman who has converted to Islam. There’s also her husband, a Somalian jihadi with American citizenship. The British operation is aided by on-the-ground intel (Barkhad Abdi) who uses remote controlled surveillance. These technologically advanced cameras work like something in a James Bond film. One is a robotic flying contraption designed to look like a hummingbird. It gives overhead views from a lamppost outside the terrorist’s house. The other is a tiny flying winged bug that has been carefully maneuvered to fly inside the house. This one is perched on a rafter giving clear perspectives of the individual rooms within. Watching in safety from thousands of miles away at intelligence headquarters in London are the politicians and lawyers, including Powell’s military superior, Lieutenant General Frank Benson (the late Alan Rickman). They are trying to determine whether to take action. There’s much protocol debate over the various consequences of their actions and how they will be perceived. American drone pilot Steve Watts (Aaron Paul) is awaiting orders in a claustrophobic trailer at Creech Air Force near Las Vegas. He’s the one with his finger on the actual button – a missile connected to a flying drone, an unmanned combat aerial vehicle (UCAV). 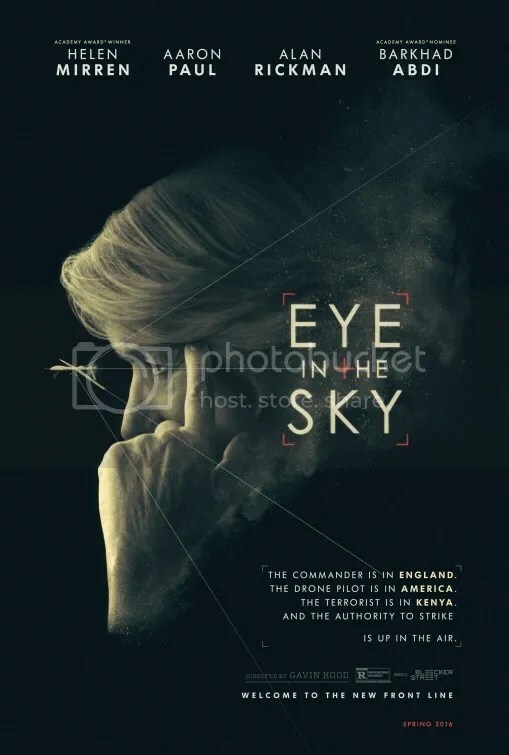 Eye in the Sky is a fascinating ethical study surrounding the decision-making involved between the military and the government. It’s a brilliant set-up. The scenarios allow for a careful consideration regarding the complexities involved. 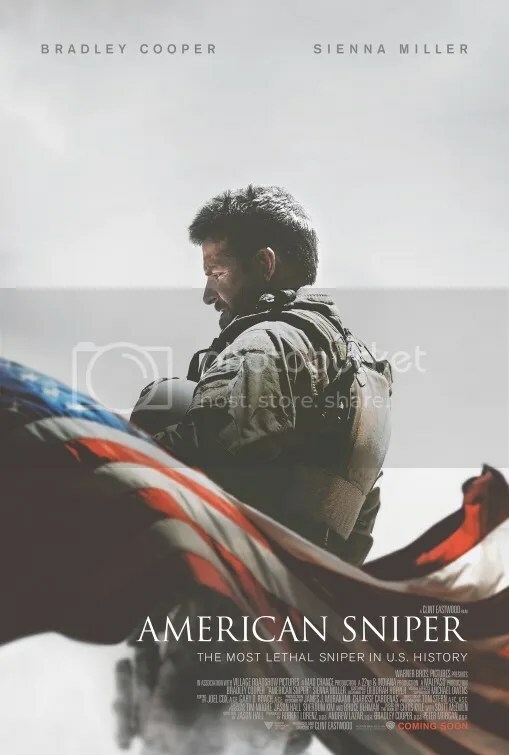 The operation becomes more complicated when the terrorists are observed gearing up for a suicide bombing – an act that will endanger the lives of potentially hundreds of people. The objective to “capture” soon develops into “kill” – at least that’s what Colonel Katherine Powell recommends. The legalities of drone warfare is a highlight of this thoughtful discussion. What are the ethical ramifications? The ability for governments to execute people from the safe comfort of a remote location in a different country is addressed. Also the collateral damage, specifically the possible loss of innocent human life, is taken into account. Director Gavin Hood takes a long time to set up the plot, but once the story catches spark, it’s pretty tense. He’s so much more engaging when directing these smaller films (Oscar-winning Tsotsi) than the big budget Hollywood blockbusters (X-Men Origins: Wolverine, Ender’s Game). The intricate consideration of numerous “what-ifs” form the crux of the drama. The moral dilemmas make Eye In The Sky essential viewing. I watch movies because I enjoy them. I truly do. However, while I’m viewing a film, I’m evaluating it. I’m formulating my thoughts so I can write a review. Questions arise. Am I enjoying this? Why am I entertained by this? I can’t help it. It’s part of my process as a critic and it becomes an involuntary reaction. The greatest movies, I sort of forget to do this and I just get lost in the story. The worst, I am constantly aware that I am sitting in a theater enduring a bad movie. I am trying to assess what what makes it so awful. Whiskey Tango Foxtrot or WTF, isn’t horrible. As a matter of fact, there’s a lot to recommend it starting with a pleasant performance from comedian Tina Fey in a dramatic role. But for much of its run time, I kept asking myself, Why did this picture get made? What makes the story of Kim Baker more important than the hundreds of others that could have been dramatized? What makes this drama so unique? That this correspondent happens to be female is the best answer I can come up with. WTF is based on reporter Kim Barker’s memoir The Taliban Shuffle: Strange Days in Afghanistan and Pakistan. That’s quite a mouthful for a surprisingly simple saga. She was working for The Chicago Tribune in the 2000s, but in the film she’s a TV journalist. Part of the reason Kim is sent is due to her unmarried, childless status. From Baby Mama to 30 Rock this is an underlying theme to Tina Fey’s roles. WTF is a series of little episodes. When she meets gorgeous blonde Aussie newsperson Tanya Vanderpoel (Margot Robbie) they have a discussion about attractiveness. A “4” or “6” back home is like a “9” in Kabul. They call it the Kabubble. For the record, Kim is “Kabul cute”. Side note: Does Tina Fey really think she’s just a 4? 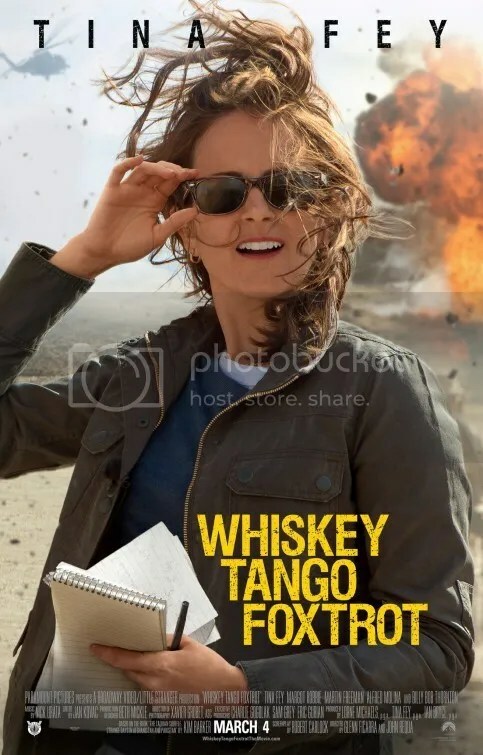 Whiskey Tango Foxtrot is the chronicle of a plucky reporter who shakes up her life by taking a job covering the war in Afghanistan. The production comes from the directing team of Glenn Ficarra and John Requa who were responsible for the enjoyable romantic comedy Crazy, Stupid, Love. Robert Carlock wrote the screenplay. He was a Saturday Night Live writer from 1996 to 2001 and a show runner for the TV comedy 30 Rock. Given the background of the people involved, I hoped for an incisive and witty take on war with acerbic overtones. Yet WTF is largely forgettable, an incidental tale of a journalist’s experiences. It’s random and unexpectedly bland. Details include actor Alfred Molina who plays a lascivious Afghan prime minister that’s regularly putting the moves on her. There’s even a contrived romance featuring Martin Freeman that is as fabricated as any stock boy-meets-girl love affair you’ve ever seen. The sitcom observations are just too shallow to make this the insightful feature that it could have been. WTF indeed. 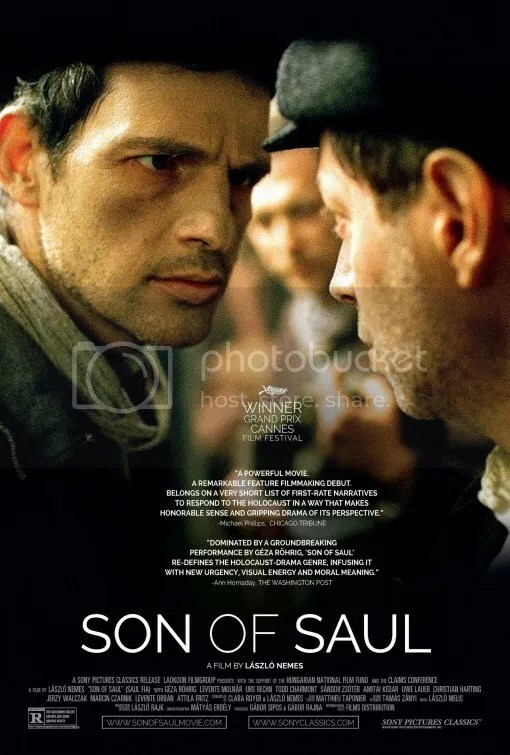 Son of Saul is a Hungarian drama covering a day-and-a-half in the life of one Saul Ausländer (Géza Röhrig), a Jewish prisoner at the Auschwitz concentration camp. He is forced to work as a Sonderkommando, that is – a captive who assists in the disposal of the dead, his fellow people, from the gas chamber. While there he discovers the body of a boy he takes for his son and tries to find a rabbi to give the child a proper burial. The Holocaust has been the subject of innumerable pictures presented from a variety of different angles. Judgment at Nuremberg, The Pawnbroker, Sophie’s Choice, Schindler’s List, Life Is Beautiful, The Pianist, The Counterfeiters, The Reader and Ida are merely a famous few that have won awards and accolades. Son of Saul is critically acclaimed as well and is even up for Best Foreign Language Film at the 88th Academy Awards on February 28, 2016. Evidently the topic is ripe for more productions as director Laszlo Nemes approaches the material a little differently. What separates Son of Saul is the you-are-there vantage point of the main character. Our lead is a prisoner but his own execution has been delayed. A visual perspective from a person thrust into the eye of the storm, so to speak. The orientation is unique. We see everything from Saul’s viewpoint. The action is shot in extreme closeup, often slightly behind or right in front of our protagonist. His expression is a blank face of detachment, perhaps immune to the atrocities that inundate him. The events however are often obscured, just out of focus for the audience, and hard to view clearly. We never see the faces of the victims or even their deaths distinctly. That is a blessing. Although the sounds that surround these incidents is horrifying. Given the theme, Son of Saul is understandably difficult to watch. In many ways it should be. The plot doesn’t follow the traditional narrative that highlights an improbable hero. Its hyper-realistic style addresses the murder directly head on with no relief to alleviate the terror. The brutal efficiency with which the Nazis oversee this evil task is a robotic death camp of mind numbing savagery. A seemingly unending hell on earth from which human life is disposed like a mechanized chore. Even watching prisoners scrub the human blood from the floor of a massive shower can be an overwhelming experience. Son of Saul is largely a compelling drama. Where the chronicle doesn’t near a masterpiece lies in the conclusion. The fact that Saul and his fellow workers’ days are numbered will inspire questions as the story wears on. Why submit to a ghastly task that only prolongs your inevitable death by days? Some abatement from their chamber of horrors is suggested but after a while Saul’s behavior becomes vexing for viewer. Setting up a brilliant beginning also demands a skillful ending. Son of Saul doesn’t quite deliver at the same level all the way through, but it is still a very powerful film nonetheless. War is hell. The idea has been promoted before and here it is presented once again. 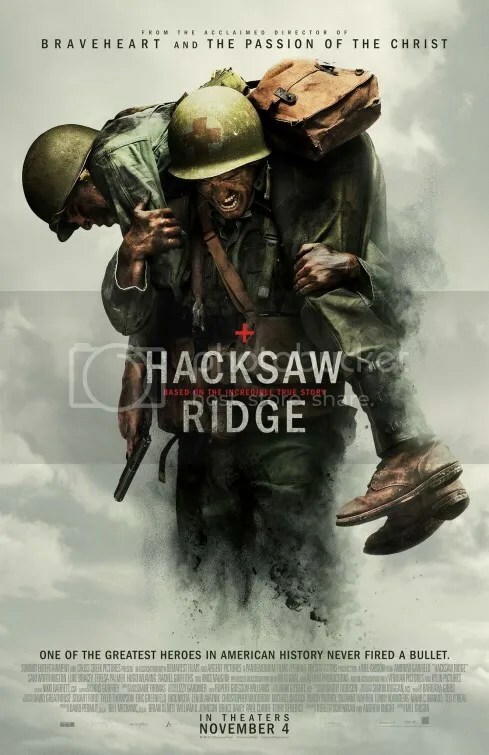 This time through a series harrowing images that remain in the mind’s eye well after this combat film is over. The tale concerns Agu (Abraham Attah), a young West African boy affected by an unnamed civil war raging in his country. His mother and sisters escape, but his father is shot and killed. Agu is essentially kidnapped by militants who coerce him to join their rebel force. Their mercenary unit is headed up by a megalomaniacal leader only referred to as Commandant (Idris Elba). Agu’s awareness of evil expands as the conflict rages on. This conversion forms the narrative in the capable hands of newcomer Abraham Attah. He is fascinating, both thoughtful and sincere. It’s a revelatory performance and the most compelling reason to discuss the picture. Idris Elba as the Commandant is also effective as an intimidating presence overseeing this rag tag team of soldiers. His dominant authority over these young men and boys as he molds them into soldiers is chilling. As the full extent of his predatory abuse is revealed, he becomes an even more reprehensible individual. The pessimism inherent in the perspective adheres close to convention. It is his meeting with the Supreme Commander (Jude Akuwudike) where the limits of the Commandant’s power are revealed. This is where the script finally explores something slightly more innovative. Director Cary Joji Fukunaga has shown a facility with different genres. He has gone from the Mexican gangland adventure Sin Nombre to an adaptation of Charlotte Brontë’s Jane Eyre. This time he’s adapting another book, the 2005 debut novel by Nigerian-American author Uzodinma Iweala. Little detail is given as to what conflict this is and for what exactly are these various warring factions fighting. The lack of political context or commentary is a bit of a misstep in a chronicle about people who do indeed pick sides. Our protagonist, however doesn’t pick a side. He’s merely swept up into the maelstrom of violence. The saga revels in one war crime after another. The way people intellectually justify their point of view is clearly not the point. Beasts of No Nation is about a child’s loss of innocence. Not a novel idea, but at least one presented with a pair of laudable performances. 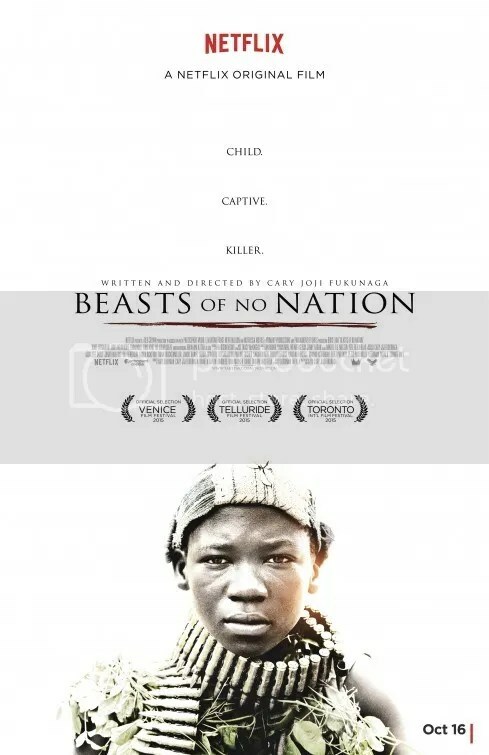 Note: Beasts of No Nation debuted simultaneously on Netflix and to theaters in limited release. It’s a tough watch particularly at a punishing 2 hours 17 minutes. The temptation to break away from this bleak story is pretty high. I admittedly did not see this in one sitting. I do consider my wavering desire to finish the movie, relevant. Definitely more of an immersive experience uninterrupted in a theater. All around screw-up John Winger loses his car, girlfriend, apartment and job as a taxi driver, all within a few hours. After seeing an ad on TV, he decides joining the army is the answer. With his friend Russell Ziskey, they go down to the local recruiting center to enlist. Bill Murray and Harold Ramis enter boot camp, make a lot of wisecracks and show off the lighter side of basic training. 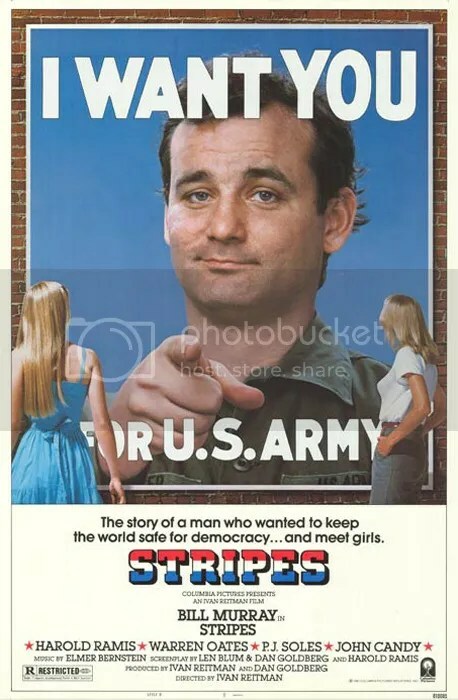 This American military comedy was a massive summer hit in 1981 and further cemented the popularity of rising star Bill Murray who had previously scored big with both Meatballs and Caddyshack in each of the two prior years. Director Ivan Reitman would most successfully direct Bill Murray and Harold Ramis in Ghostbusters. Here he keeps things much looser in this meandering comedy that comes across as kind of sloppy in parts. Every major plot thread in the movie is a bit bewildering. To be quite honest, that’s a significant component of the film’s charm. Don’t try to reason why being late to your own graduation ceremony and then giving an utterly unconventional (albeit coordinated) drill display, earns you the accordance of even greater respectability. John Winger: That’s the fact, Jack. Soldiers: That’s the fact, Jack! Impressed, the General decides these are just the ambitious men he wants guarding a top secret EM-50 Urban Assault Vehicle. Incidentally, it looks like a Winnebago. The men are sent to Italy to guard the weapon. Here’s where the narrative falls apart. John and Russell basically run afoul over there. One thing leads to another and they end up taking on the Communists. It’s odd how a comedy from 1981 can seem more outdated than say one from 1961. Irreverent is the nicest way to put it. That’s not to say Stripes isn’t worth watching. It’s occasionally hilarious. At the time, the film was the third on which Harold Ramis collaborated with Bill Murray, but the first in which the two actually appeared on camera together. The chemistry of their effortless friendship in real life, easily translates on screen. There’s some terrific moments leading up to their arrival at Fort Arnold. The meet-and-greet scene in the Army barracks is a highlight for everyone involved. Ox (John Candy) and Psycho (Conrad Dunn) have amusing introductions. Legend has it that Bill Murray’s “Chicks Dig Me” speech, including the bit about Lee Harvey and the cow, was improvised, Their basic training and on through their graduation feature some extremely funny bits. Unfortunately the dramatic momentum runs out of steam during the final act. Up until then, it’s quite entertaining. Nostalgic viewers old enough to have originally seen it during the 80s should enjoy it even more.